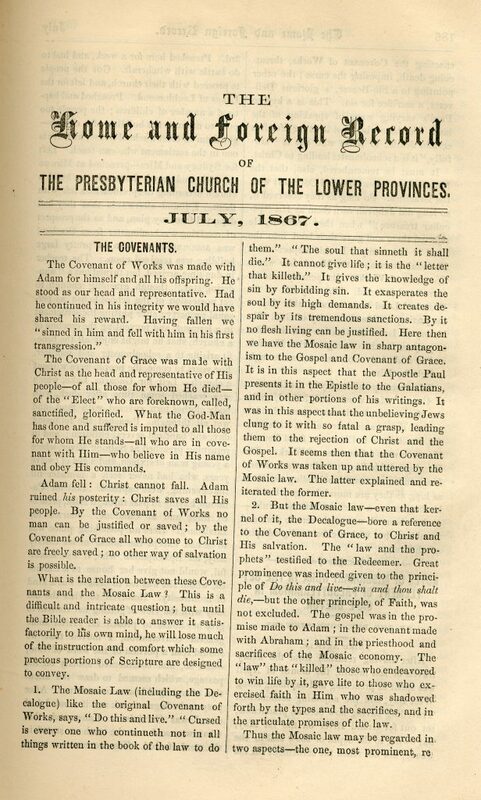 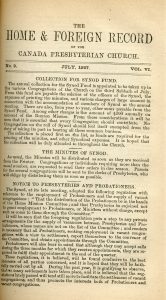 The Presbyterian, The Home and Foreign Record of the Canada Presbyterian Church, and The Home and Foreign Record of the Presbyterian Church of the Lower Provinces were monthly Presbyterian periodicals serving three of the different branches of Presbyterians until Church Union in 1875, when a new publication, The Presbyterian Record, was formed to serve as the primary periodical of The Presbyterian Church in Canada. 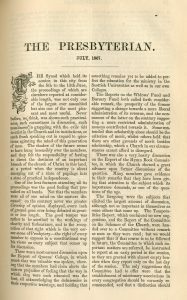 They offer a closer look at the Presbyterian Church in early Canada, at the activities of the churches and the concerns and issues they were grappling with. 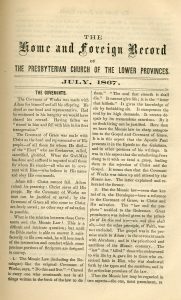 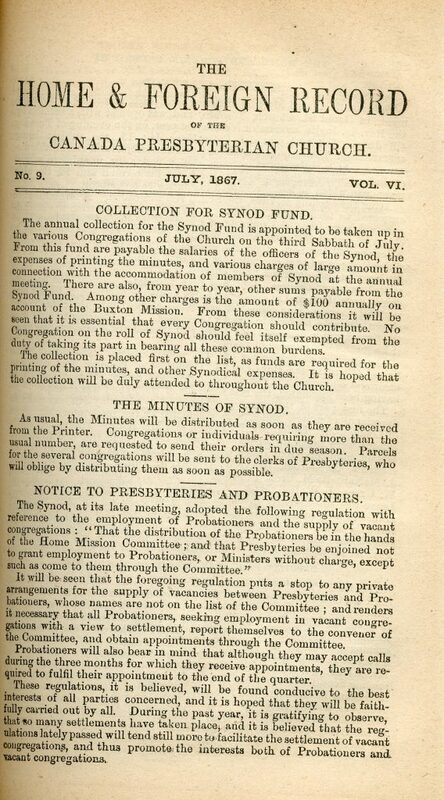 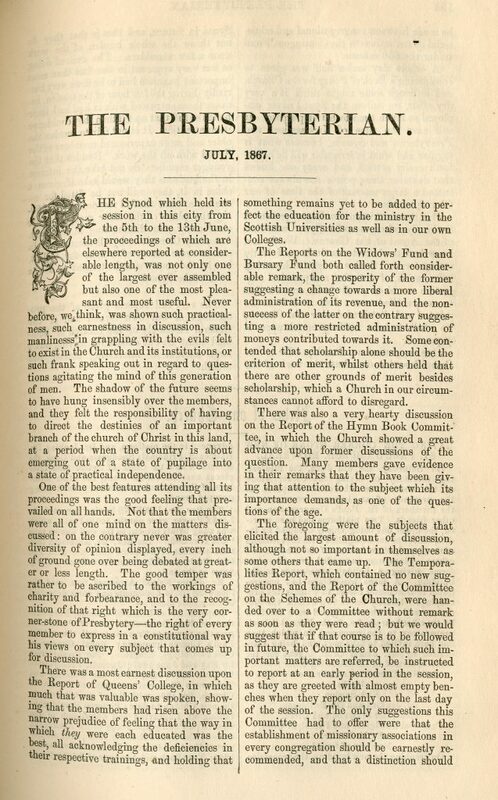 We invite you to take a look at the front page of each issue from 1867, and the entire July issues, to get a taste of Presbyterianism in Canada 150 years ago.